When it was time to bid adieu to 2017, I was excited. 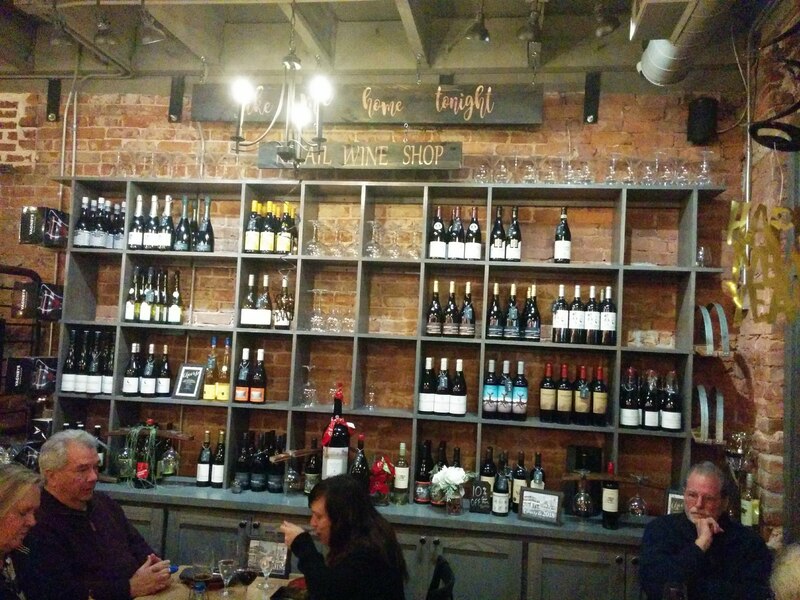 I finally had the opportunity to visit the new wine bar in historic Woodstock, GA, Rootstock and Vine. Having only opened a couple of months ago, but on my radar for about a year, I couldn’t wait to try it. The restaurant is in an ideal location at the corner of Main Street (Highway 5) and Towne Lake Parkway. It took the place of Hot Dog Heaven, one of my favorite places once upon a time. A better replacement couldn’t be found. The building is fabulous with exposed brick and an open, lofty feel. It was too cold to be outside for long, but Anna Daily, the proprietor, took me on a brief tour of the rooftop bar. I can see many warm evenings atop that building in my future. The evening began with a meat and cheese board paired with a lovely champagne. 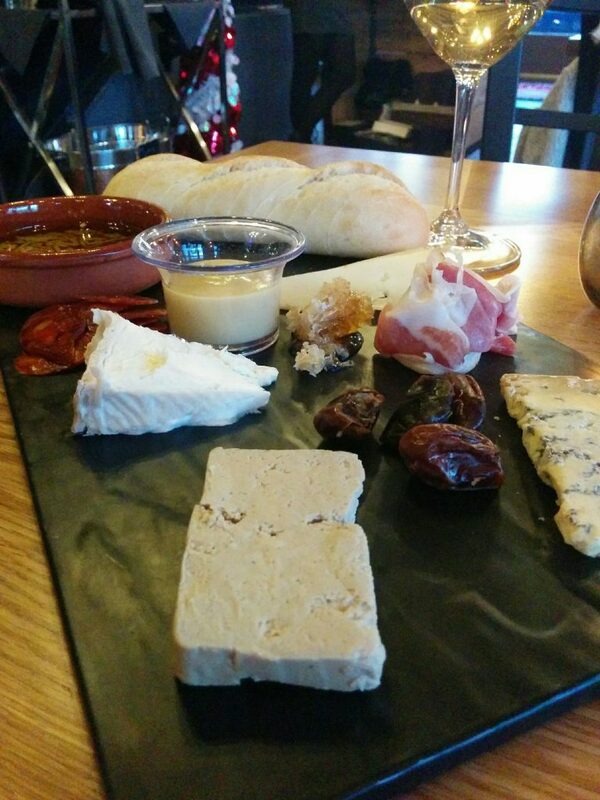 The meat and cheese board included mouthwatering tidbits like bleu cheese, gorgonzola, brie, goose liver pate, chorizo, prosciutto, honeycomb, and dates with a small loaf of bread, dipping oil, and a pear-infused spicy mustard. 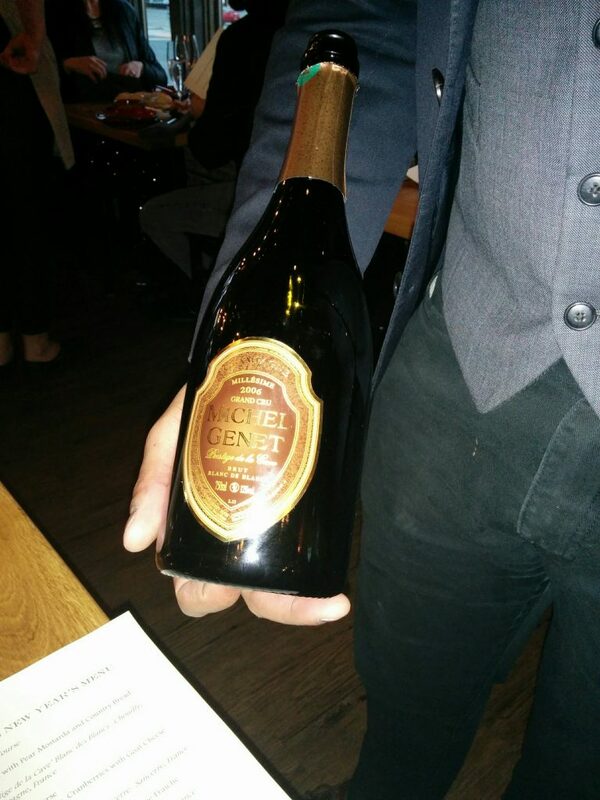 Paired with this was the 2006 Michel Genet Brut Blanc de Blancs. This was a delicious choice that went perfectly with the myriad of flavors on the meat and cheese board. After a brief delay, we moved on to the second course. This was a choice between a Baby Arugula Salad with Granny Smith Apples, Cranberries, and Cheese Fondue paired with 2016 Domaine Claude Riffault ‘Les Boucads’ Sancerre or Golden Lentil Soup with Lamb Meatballs and Cumin Creme Fraiche paired with 2015 Domaine Pral Morgon Les Charmes Beaujolais. 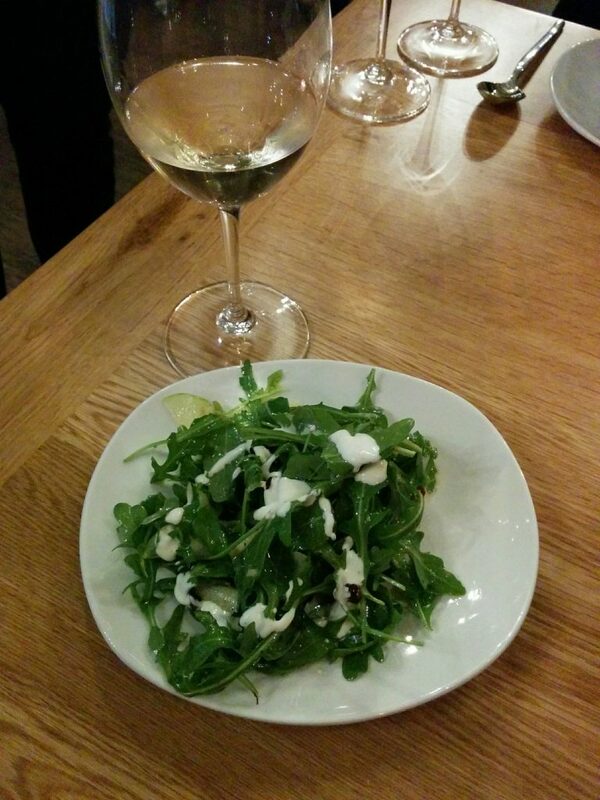 I opted for the salad which was delicious and the Sancerre was divine. 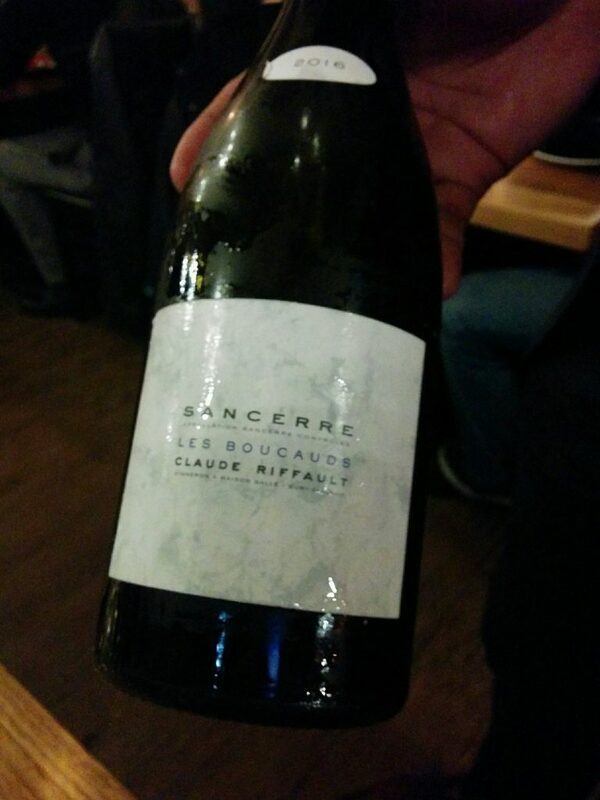 The Sancerre had a delicate, flavor that matched the salad nicely. The main course included three choices – Petit Filet Mignon with Potato Gratin with Foie Gras Sauce or Wild Mushroom Risotto with Parmesan Reggiano and Red Wine Sauce, both paired with 2014 Division Cellars ‘Vista Hills Vineyard’ Pinot Noir, or Pan Seared Sea Scallops with Cauliflower Puree, Golden Raisins, Brown Butter and Capers paired with 2014 Levendi Estate Reserve Chardonnay. I am a pescatarian at heart so had to go with the scallops. 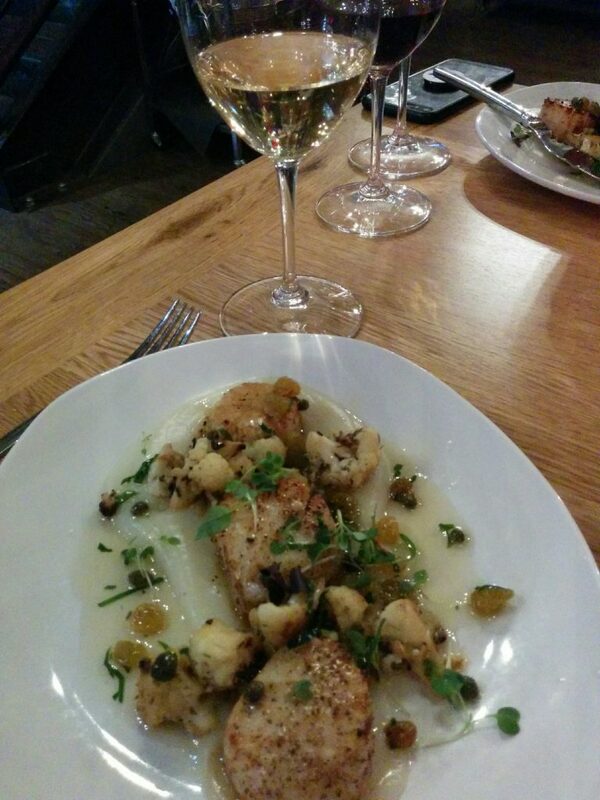 The Chardonnay had a buttery creaminess that was the perfect choice for the scallops. After the main course dishes were cleared away came — dessert! A small selection of sweet delicacies was delivered on a slate with a dusting of powdered sugar and a pretty, edible, flower. 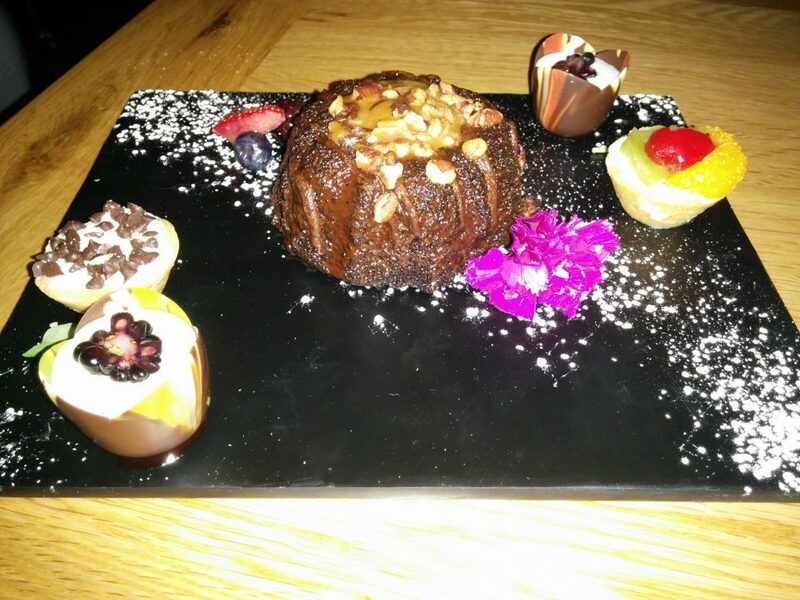 The treats were sweetened-ricotta stuffed chocolate “tulip” cups, mini cream cheese tartlets, and a mini chocolate bundt cake with drizzled with warm, gooey caramel and sprinkled with pecans. Everything was good, but the bundt cake was excellent. This dessert selection was paired with 2013 L’Fleur d’Or Sauternes. 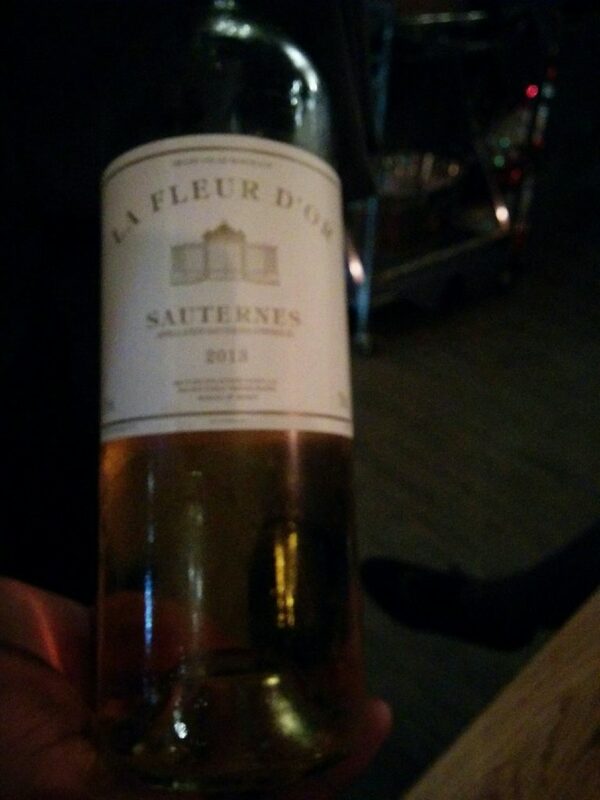 This sweet wine was an extremely tasty accompaniment to the desserts and surprisingly wasn’t overly sweet. In addition to the divine food and wonderful wine selection you can enjoy at the restaurant, there is also a retail section with wines you can bring home. 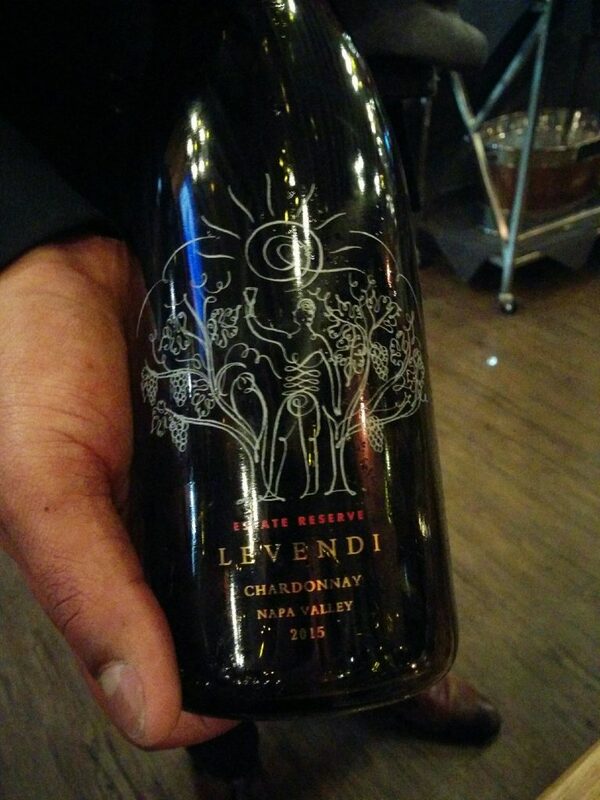 What a wonderful way to remember or share with friends a fabulous bottle you enjoyed. 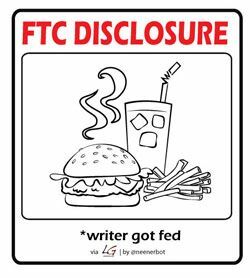 Retail Shop – Shop til you pop! All in all, this was a delightful evening. Anna Daily and her husband Sean, along with Sommelier Taurean Philpott and Executive Chef William Sigley, have built a wonderful new venue that is a lovely addition to the local scene. I am very much looking forward to listening to live music while enjoying the views, refreshing libations, and tasty munchies that this new venue has to offer. 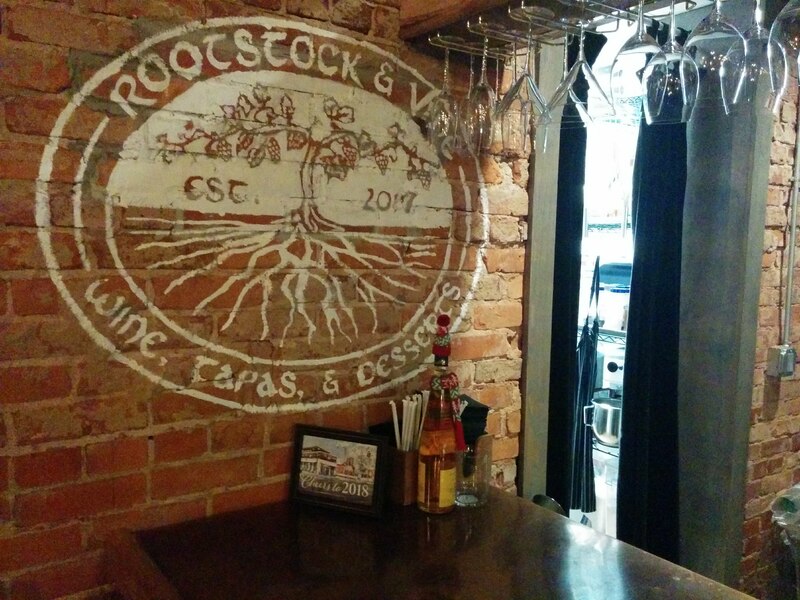 For a delightful evening OTP, be sure to check out Rootstock and Vine. The hospitality, service, food, wines, and ambiance are second to none.